Nissan, the global leader in all electric vehicles, will be electrifying the UEFA Champions League Final in Milan this weekend. 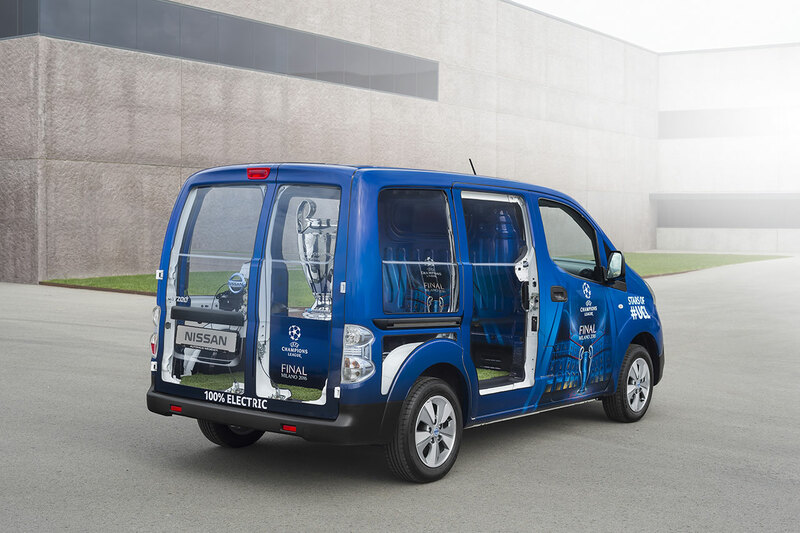 As the official global automotive sponsor of Europe’s most prestigious football competition, Nissan will supply more than 100 electric vehicles to UEFA and associated sponsors to transport guests and officials during the final weekend. 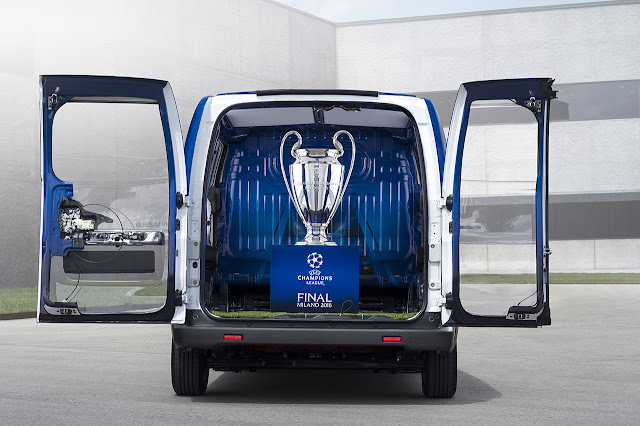 The company will also have the honour of transporting the iconic UEFA Champions League trophy in a specially designed e-NV200 all electric trophy van to the fan festival at Duomo di Milano on Thursday 26th May where it will remain until the big match. Ahead of the final on Saturday 28th May, a unique Nissan LEAF will then take the trophy to the San Siro stadium as part of the UEFA Trophy Parade. 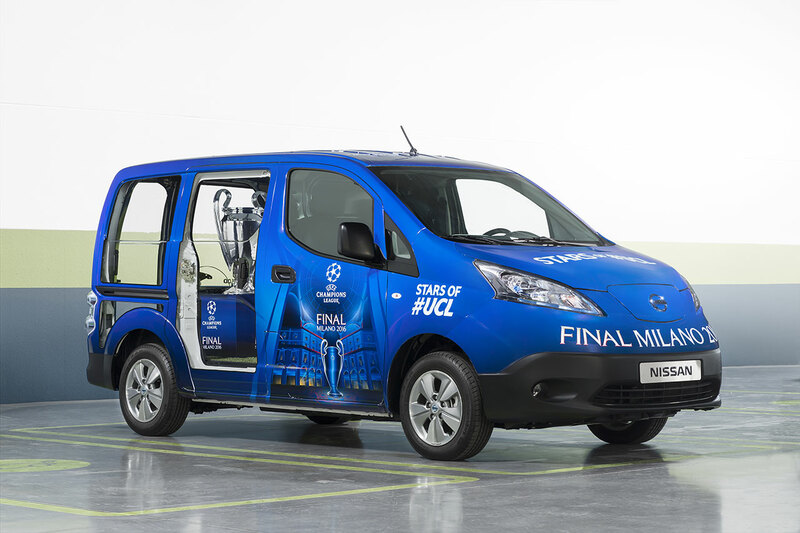 Gareth Dunsmore, Director of Electric Vehicles for Nissan Europe said: “The final in Milan this weekend marks the climax of another exciting year partnering with the UEFA Champions League – the most prestigious football tournament in the world. 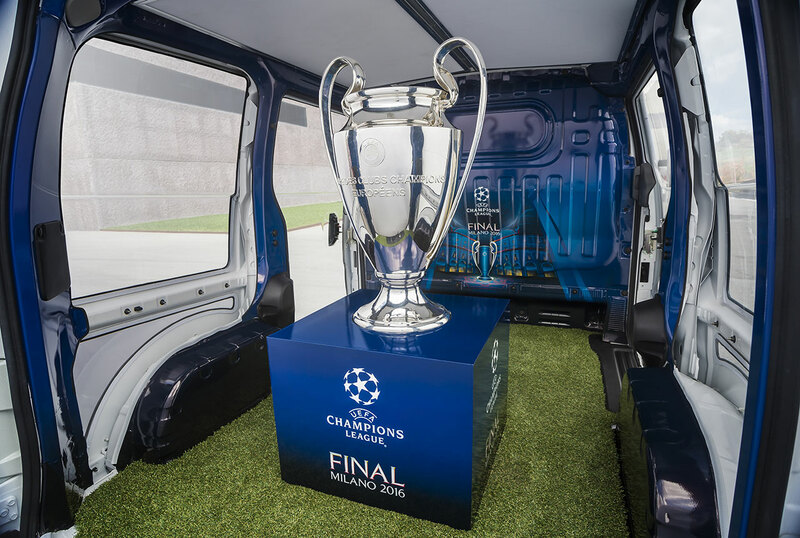 We began this journey last season and we were delighted to provide electric vehicles and charging points in Berlin, a journey we look to continue at the final this year in Milan. The great relationship we have with UEFA means we have been able to provide something long lasting and positive to both cities during our first two seasons as a sponsor of the UEFA Champions League. Nissan’s project in partnership with A2A promotes clean, sustainable mobility in a significant metropolitan area of Europe by offering one of the most advanced infrastructure networks. Last week the Milan Town Council inaugurated the Nissan project for the installation of 12 rapid chargers on municipality area in partnership with A2A. The initiative represents the largest fast charge infrastructure installation in a single city in Italy. This week two rapid chargers will be installed at Malpensa airport and a further three at Linate airport, one of which will remain after the UEFA Champions League Final.